Contouring does *amazing* things for your face! It can give you more defined cheekbones and make your face appear thinner as well as highlighting certain features. 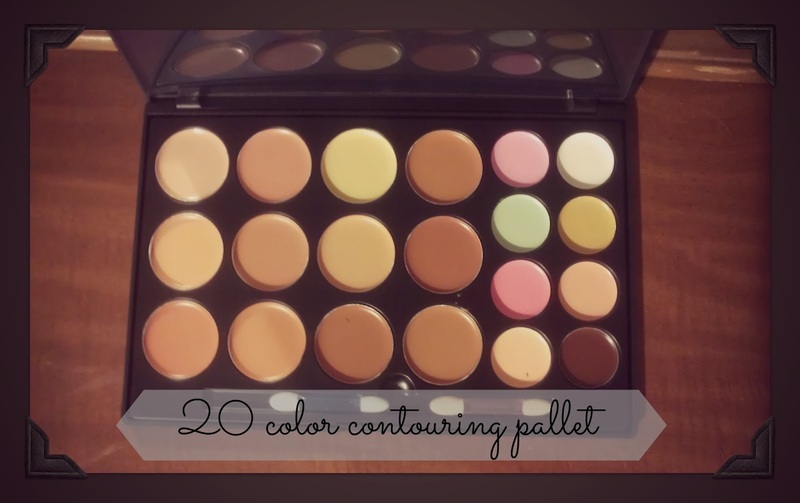 This contouring pallet comes with 20 colors (shades) and is perfect for every skin color. The flesh toned colors are used to give depth to certain areas of the face and the colors on the right hand side are highlight colors as well as concealer colors. The pallet comes with two small foam applicators. Now, I've dabbled with contouring and highlighting a little bit before trying this pallet out. I have to say that I prefer powdered contouring pallets/kits as opposed to creams because, for me, they just blend better. If you are newer to contouring, you might want to go the powdered route until you get the hang of blending. Creams are a little more difficult to blend. It can be done, but it takes more time and a little more skill to do it in a manner that looks more natural. Overall, this is a great pallet for a great price.